In the poker story that never dies, the Aldernay Gambling Control Commission released their decision from the recently concluded hearing into Full Tilt Poker, and the decision is not good news for Full Tilt or the rest of the poker community. The AGCC released two statements this morning, the first was a basic press release outlining their decision, followed by a far more detailed 26-page document detailing the specific charges and finding by the AGCC. 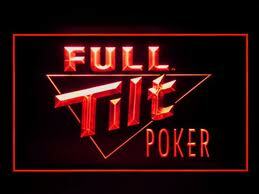 • Full Tilt Poker guaranteed to cover all player deposits – “”The Company will ensure that, at all times, there are sufficient funds in this account to cover all balances held by the company on behalf of its customers. The Company confirms that this account is not used as a security for any other operational liability”. At the commencement of these proceedings on 26th July AGCC made clear its preference to hold the hearing in public, to the benefit of players and media alike. However, the tribunal was persuaded that the hearing should be held in camera on the basis of claims by FTP that this would maximise the chance of a commercial rescue of the business for the benefit of players. For this reason an adjournment of 54 days was allowed. It is important to note that the revocation of FTP’s licences does not, as has been suggested, prevent a reactivation of the business under new ownership and management. Unresolved claims by players against FTP become a matter for the police and civil authorities. Now that FTP’s licences have been revoked, AGCC no longer has jurisdiction over these companies. The licence of Orinic Limited, a recently added geographic sub-division of the FTP poker room, remains suspended. This entry was posted on Thursday, September 29th, 2011 at 11:03 am and is filed under Poker News. You can follow any responses to this entry through the RSS 2.0 feed. You can leave a response, or trackback from your own site.